The drama is not over. The next few days are crucially important not only for Karnataka but India as well. The elections to the legislative assembly of Karnataka have proved to be more dramatic than any work of fiction could ever have hoped to be. At the time of writing this article, the story is not over and the end of the tale is not known. It is not clear whether it will be a happy ending for the Bharatiya Janata Party or the Indian National Congress. Even for the Janata Dal (Secular), does it have every reason to rejoice having become the “king” as well as the “king maker”? For former Prime Minister H D Deve Gowda and his son former Karnataka Chief Minister H D Kumaraswamy, challenges lie ahead. What is not clear is whether its flock of JD(S) Members of the Legislative Assembly will remain together or not, or whether some among them could be swayed by the money power of the illegal iron ore miners of Ballari – led by the relatives and associates of Gali Janardhana Reddy – to defect as a group of over a dozen MLAs or, what could be even simpler, fall ill on the day of the floor test in the assembly. That’s not all. Particular newly-elected MLAs of the JD(S) could simply resign their seats to reduce the effective strength of the assembly as had happened in the past in Karnataka. Whatever be the character and complexion of the new state government and whatever be its longevity, there are some important lessons that need to be learnt by all concerned. For the BJP, the way in which the ruling party cobbled together a majority in a completely opportunistic manner in Goa and Manipur in March 2017 is now going to be emulated by the Congress. If the BJP emerged successful in forming the governments in these two small states, the point is simple: two can play the same game. The Congress has learnt the “rules” of the game the hard way and the party’s moves are now “smarter” than before. What the coming days will also indicate to the BJP is the extent to which money power can influence politics. The Congress under Rajiv Gandhi had claimed that the Bofors scandal would have no impact on voter behaviour, that corruption was not an issue that mattered. The party was proved wrong in December 1989 when Vishwanath Pratap Singh became the Prime Minister of India leading a minority government with support from both the Left and the Right. Will the BJP be proved wrong on this occasion because it brazenly and wholeheartedly embraced the Ballari mafia believing that the manner in which this gang looted the natural resources of the people of the state (and their children as well) would not matter to the electorate of Karnataka? At a national level, the uncertain outcome of the state assembly elections sends significant signals to all political parties across the country. For the BJP, its attempts to triumphantly march southwards has faltered. So has the Prime Minister’s hopes of rapidly ushering in a opposition-mukt country if not a Congress-mukt Bharat. At the same time, what the Congress should realise is that if it has to take on the BJP in the run-up to the next general elections, it has absolutely no alternative but to align itself with regional parties opposed to the BJP even it means that India’s “grand old party” would have to play second fiddle to some of them. The Congress must accept the fact that the outcome of the Karnataka elections would have been very different had it stitched together a coalition with the JD(S) before the elections, not after it. For the other smaller and regional parties as well, the outcome of the Karnataka elections has sent out a message that cannot be ignored. Whether it is the Communist parties (in Kerala, West Bengal and Tripura), the Bahujan Samaj Party, the Samajwadi Party (in Uttar Pradesh), the Rashtriya Janata Dal (Bihar), the Trinamool Congress (West Bengal), the Biju Janata Dal (Odisha), the Telugu Desam Party, the YSR Congress (Andhra Pradesh), the Nationalist Congress Party (Maharashtra) the Telengana Rashtriya Samithi, the small parties of North-East India, the Dravida Munnetra Kazhagam (Tamil Nadu) and others – if these parties are really (and I mean really) serious about defeating the BJP, they have no choice but to work with the Congress in their fight against communal forces. For the partners of the BJP in the National Democratic Alliance too, the Karnataka elections have sent out salient indicators. The constituents of the incumbent ruling coalition, including the People’s Democratic Party of Jammu & Kashmir, the Shiromani Akali Dal in Punjab, the Janata Dal (United) in Bihar among others, will have to necessarily blow hot and cold towards the BJP and hedge their bets on the leadership of Narendra Modi and BJP President Amit Shah and also the Rashtriya Swayamsevak Sangh (RSS), as the Shiv Sena has already been doing in Maharashtra. 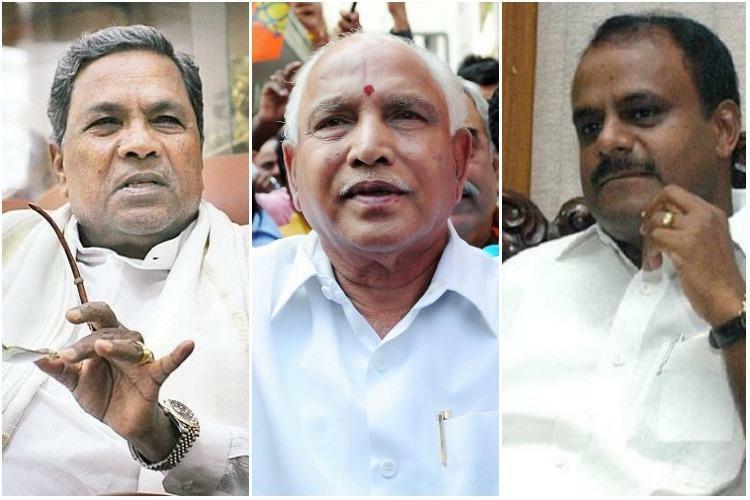 Why should the BJP be so keen on keeping the Congress and the JD(S) apart in Karnataka? The answer is simple. Seventeen out of the 25 Members of Parliament from Karnataka in the Lok Sabha belong to the BJP at present. Imagine what would happen if in the next general elections, a Congress-JD(S) alliance wipes out the BJP from the state. That would be terrible news for Modi and Shah.